You may be under the impression that heating and cooling systems have no place in historic sites or old homes, particularly when they might jeopardize a building’s architectural integrity. However, place-lovers don’t need to choose between historical accuracy and comfort when it comes to the innovative technology provided by small-duct systems. Unlike standard HVAC systems, small-duct systems save space, decrease humidity, are energy efficient, and can even be painted over to match a home’s interiors. That's why Unico—maker of The Unico System small-duct central heating and cooling solution, and a fifteen-year corporate partner of the National Trust—advocates for modernizing notable landmarks while preserving historic integrity. Check out this list of 14 cool (literally) historic places around the U.S., many of which are open to the public. Restored in 2008 through a capital project by the National Trust, this historic site and museum is the only place where visitors can experience the history of President Lincoln’s public and private life. 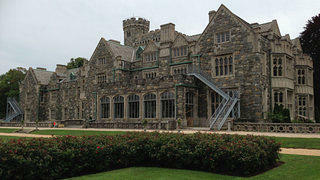 A conventional HVAC system would have required removing portions of the cottage’s historic ceilings, walls, and floors to run new ductwork, so the National Trust recommended The Unico System. Built in 1877, Flower Hill was the estate of Reverend Richmond Smoot and the site of William Sydney Porter’s (better known as O. Henry) marriage in 1889. The 7,300-square-foot home is known for its dusty, rose-colored bricks which bear the distinctive impressions of construction workers’ hands. The Smoot family’s Flower Hill Foundation chose The Unico System to mitigate the scorching Texas heat while preserving the site’s unique materials. The Peterson House, located across the street from Ford’s Theatre, was the setting for one of the saddest days in American history when President Lincoln succumbed here to the shot delivered by assassin John Wilkes Booth. The National Park Service, which maintains the house as a museum, chose The Unico System because its tubing can snake through small areas with minimal intrusion to its walls, floors, and ceilings. Built by the Civilian Conservation Corps (CCC) in the 1930s in Cuyahoga Valley National Park, this site derives its name from Franklin D. Roosevelt’s popular campaign theme song. The former president’s New Deal program included the CCC as part of its Depression-era job-creation efforts. The open “parkitechture” style of the site’s structure was impossible to cool with conventional HVAC systems; only The Unico System could provide guests with air-conditioned comfort without disrupting the lodge’s historic look. Developer Joseph Eichler popularized the style of home that would come to be known as "California Modern" during the mid-20th century. These flat-roofed, post-and-beam construction houses are known for their open room designs, floor-to-ceiling windows, glass transoms, atria, and walkout patios—features virtually impossible for conventional HVAC systems to overcome, but a natural fit for The Unico System. Tours of these homes, located within enclaves throughout the San Francisco Bay and Greater Los Angeles areas, are organized throughout the year by the Eichler Network. President Harry S. Truman made this home—originally built in 1890 as a Naval officer’s residence—famous when he chose it as his winter vacation location and christened it the “Little White House.” Traditional HVAC would have required additional condensing units to achieve zoned cooling, whereas The Unico System allows individual chillers to work in a single area without the entire system running at full capacity. This private home is listed on the National Register of Historic Places and dates to 1739. Although many restorations have been made over the home’s almost 280-year existence, the original structure essentially remains intact. The Unico System—with its minimal intrusions to historic walls, ceilings, and floors—offers modern central heating and cooling while also reducing energy costs for this historic gem. Known for its six-toed cats and the first in-ground pool in Florida, the prolific writer’s home is meticulously maintained and receives thousands of visitors per year. 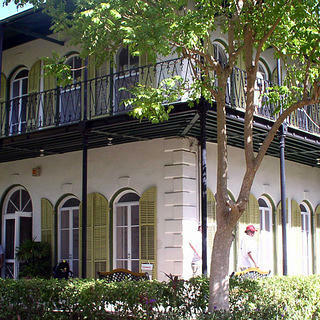 However, the museum also began gaining an unwanted reputation when visitors often fainted due the stifling Key West humidity. Curators selected The Unico System to provide low-humidity cooling to the public without altering the property’s unique decor and architecture. Learn more about the project here. The Hempstead House is one of four opulent, F. Scott Fitzgerald-era Gold Coast mansions on the grounds of the Guggenheim Estate. Built in 1912, this 50,000-square-foot Tudor served as the Guggenheim summer residence, where the family hosted lavish parties for the powerful elite of the day. The Unico System’s supply tubing snakes through existing ceiling cavities, and its mechanical systems are housed in servants’ quarters not used since World War II. The Warren Air Force Base dates to the 1860s and is currently the oldest continuously active installation of the US Air Force. The Air Force expects the best from every person and piece of equipment it employs. The fact it chose The Unico System for many of its buildings is a testament to the performance and preservation capabilities of this small-duct system. In the mid-19th century, New Bedford supplanted Nantucket as the whaling capital of the world—for a time becoming America's richest city, due to the extensive use of whale oil throughout the country. 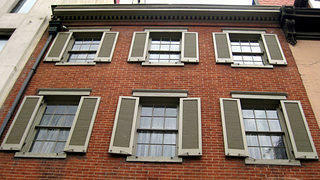 Built in 1815, this building was dedicated to the production of candles from the ubiquitous oil. It was converted into a bank branch in 2017, and the project's restoration architect realized that only The Unico System would allow for modern comfort will preserving the structure's historic callback to New Bedford's seafaring heyday. The design was acknowledged with a preservation award from the Waterfront Area Historic League (WHALE), which organizes tours and events in historic New Bedford. Chesapeake & Ohio Canal National Park Visitor’s Center—Washington, D.C.
Stretching from the tidal basin in DC to the mountains of western Maryland, the C&O Canal provided work for the people of the Potomac River Valley in the 19th and 20th centuries. 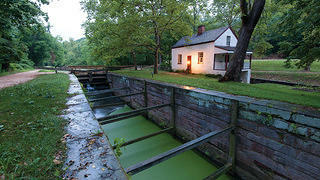 Today, the visitor center in Georgetown is one of the popular destinations along the canal. The National Park Service chose The Unico System as part of the restoration for the two-story, 150-plus-year-old visitor center. In this Massachusetts home, Mary Baker Eddy founded the Christian Science faith in 1875. 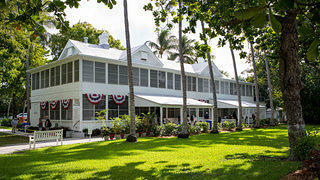 The home underwent a complete restoration from 2011 to 2013, to return the structure to its historic 18th-century charm. The preservation architect working on the project chose The Unico System as the best method to include modern heating and cooling, without impacting the home's original aesthetics. Longyear Museum is dedicated to preserving the history of Mrs. Eddy and organizes educational tours of this home-turned-museum. In 1932, after reading Frank Lloyd Wright's autobiography, Nancy and Malcolm Willey wrote to the iconic architect, inquiring about the feasibility of designing a home in the $8,000–$10,000 range. Wright accepted the young couple's challenge and created this modest (by his standards) yet unique suburban abode. The house underwent a complete restoration in the early 2000s and features all-hand-crafted finishes and furnishings, based on Wright's original designs. The only exception was the inclusion of The Unique System, the flexibility of which allowed the introduction of modern HVAC without marring Wright's aesthetics. 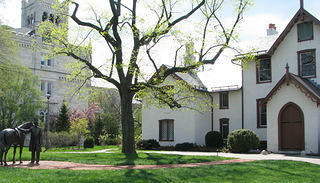 Though The Malcolm Willey House is privately owned, group tours can still be reserved.